A great introduction to All-Clad, the All-Clad Ha1 hard anodized E7859164 3-piece nonstick cookware set includes 10 in. Fry pan and 4 qt. Saute pan with lid. 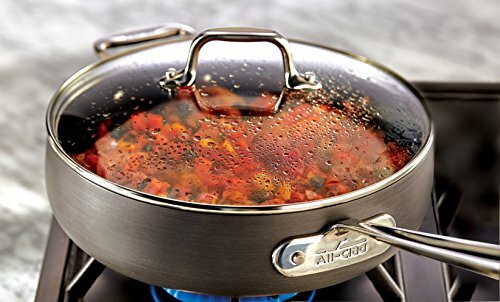 With Ha1 hard anodized cookware, you can experience the renowned quality of All-Clad and the ultimate ease of nonstick. The All-Clad cookware's three layers of PFOA-free nonstick coating ensure effortless food release and make cleanup a breeze. Even more, hard anodized nonstick cookware offers dishwasher-safe convenience, induction Compatibility and warp-resistant strength. Discover what it means to cook with All-Clad.